This comes to us courtesy of my friend Callan Swenson – yes, there’s another Callan out there! – who’s there this week on vacation. This is near the village of Vernazza. The Other Callan is not a geologist, though, so we’re on our own to figure out the story of these outcrops. From a quick investigation online, it looks like this is a region where the Ligurian nappes have deformed the local rocks. There are ophiolites further to the north, but these appear to be a package of turbidites. 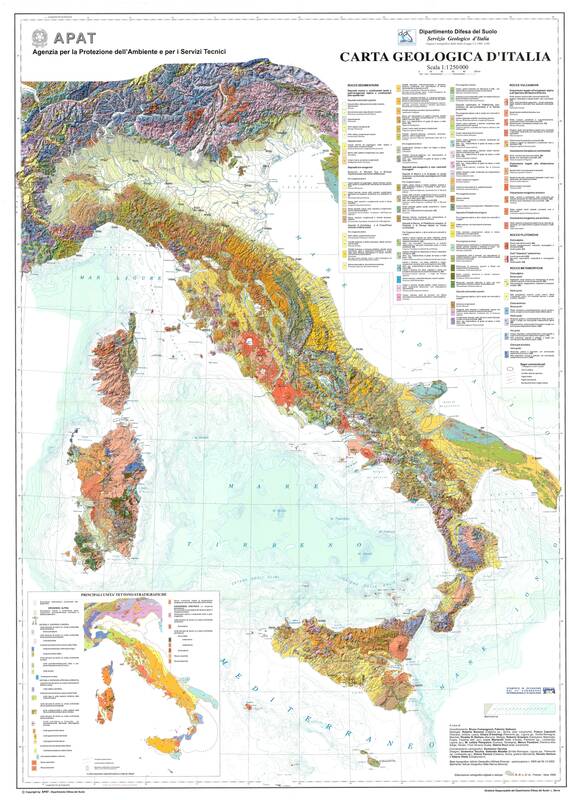 Unfortunately, I can’t squeeze much useful information from the 1:1,250,000 scale Geological Map of Italy online. Oh well, chances are that at least a dozen of this blog’s reader have been to the site, and can share their knowledge in the comments below… Please, enlighten us! I suggest that these stratified rocks are part of the “macigno,” the earliest of the three foredeeps that record the eastward advance of the Ligurian nappe. Age: about Oligocene to early Miocene. Erik is correct: I’ve seen excellent olistostromal melange on the Via dell’amore near Riomaggiore. Callan, I learned everything I know about the rocks at cinque terre (admittedly little) from Darrel. he’s the expert.